The ocean’s aquamarines and seafoam greens are shifting as climate change warms the planet. A study published Monday in Nature Communications predicts that the colors of the world’s oceans will intensify by the end of this century as changes in phytoplankton patterns alter light reflection. The greener the ocean water, the more phytoplankton occur there. Water molecules absorb all visible light except for those at blue wavelengths, making the ocean appear blue. When phytoplankton float near the surface, they change how incoming light reflects. Typically, the greener the ocean water, the more phytoplankton occur there. 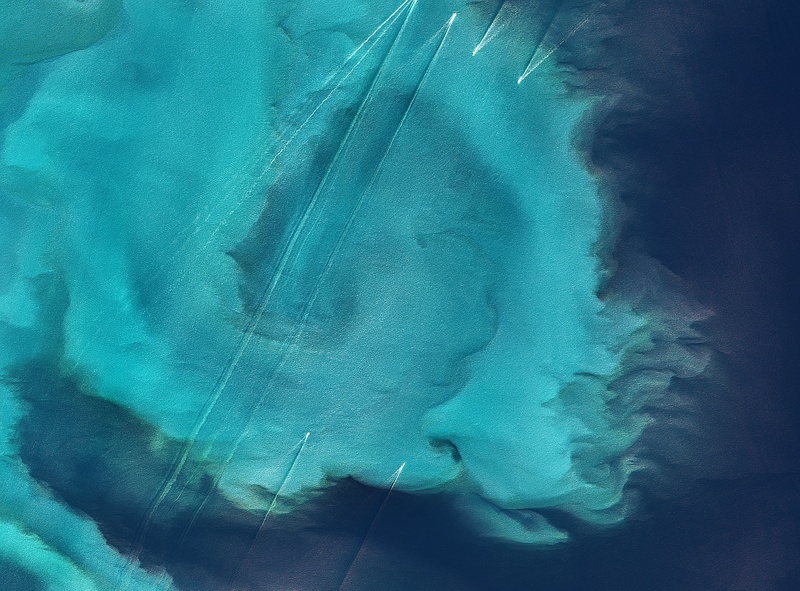 Satellites can differentiate subtle changes in hues from hundreds of kilometers away. Previous research has suggested that warming waters will alter phytoplankton distribution in the ocean, but pinpointing this trend in the data can be difficult because commonly used metrics fluctuate due to other factors like El Niño and La Niña. The latest study models ocean color using a metric that better resolves long-term trends. Blue regions in the subtropics will grow bluer as fewer phytoplankton are able to survive in its waters. Models that include light reflectance as well as the complex physical, biogeochemical, and ecological processes in the ocean are rare. This study is the first to consider the impact of climate change on ocean color. Citation: Duncombe, J. (2019), The deep blue sea is getting bluer, Eos, 100, https://doi.org/10.1029/2019EO115971. Published on 08 February 2019.